The Nigeria Football Federation (NFF) yesterday defended Super Eagles’ coach, Gernot Rohr’s preference to work from Europe, saying the arrangement is to help the coach discover and select credible foreign-based players for the senior national team. Some football followers have criticized the Franco-German manager for his preference for foreign-based players and his continued stay in Europe when Super Eagles matches are played in Nigeria. 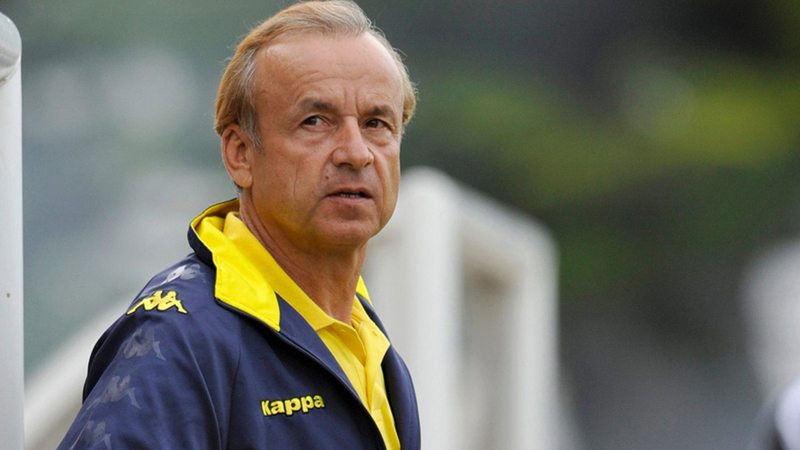 Rohr is also accused of not helping to develop the domestic league with his vast experience in African football unlike his counterpart in Cameroon, who monitors happenings in the country’s local scene. Some of the criticism is that Rohr’s stay in Europe scouting for players of Nigerian descent has yielded little result. It has also been argued that funds used in camping the team in France before the disastrous AFCON qualifier against South Africa would have served the country better if the team trained in Nigeria before the game. Reacting to these allegations, Super Eagles’ Media Officer, Toyin Ibitoye, said Rohr had never shied away from contributing to the development of Nigerian football. He explained that the Eagles’ boss has been spending more time in Europe to enable him discover and select players that would be used to qualify the team for the major championships. Ibitoye reasoned that it would be difficult for Rohr to get the right players for the Eagles if the right steps were not taken, adding that it was not fair for some people to accuse Rohr of not focusing on the Nigerian league. Ibitoye posited that Rohr’s assistants were always on ground to work for him, adding that the coach would be in Nigeria when CHAN qualifiers begin.